At BioClad, we are passionate about providing hygienic flooring solutions that transform the hygienic qualities of your environment. Using BioFloor®, an easy-to-clean and slip-resistant surface, we are able to meet the requirements of our clients. Containing antimicrobial BioCote® silver ion technology, our flooring solutions have been tested and proven to reduce microbes by 99.9% in just two hours. It is also flexible and has a high PVC content, meaning it is easy to weld. 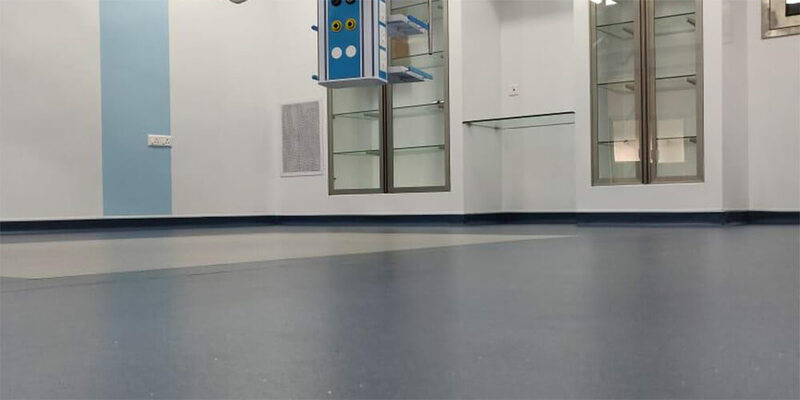 The makeup of the compounds in BioFloor® produce a cleanable surface, and when pressure is applied to the floor by feet, it grips and provides resistance to minimise slips and trips. BioFloor® also has a 15-year warranty.